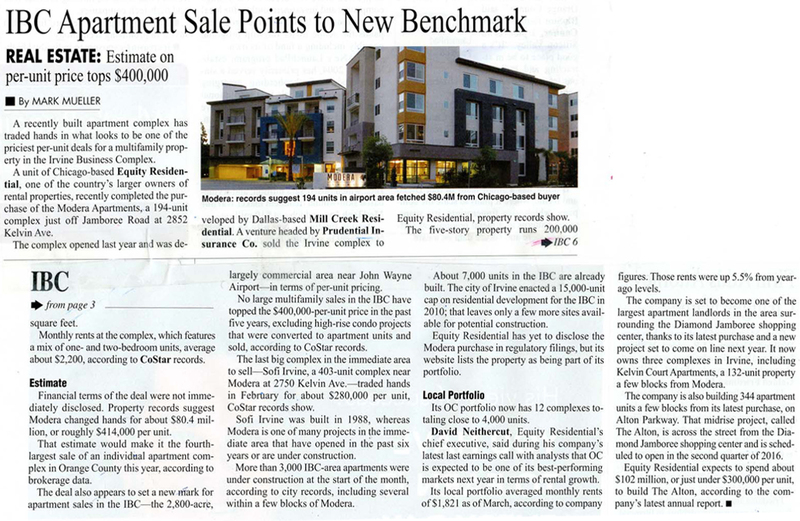 MJS Landscape Architecture | Modera Apartments sale price featured in OC Business Journal this week. MJS is proud to have been part of the 194-unit Modera Team with our Client, Mill Creek Residential and the Design Consultants on the successful design, completion, lease-up and transfer of ownership to Equity Residential. The OC Business Journal reports that that this “looks to be one of the priciest per-unit deals for multifamily property in the Irvine Business Complex” at an estimated $414,000. per unit.